More crochet cosiness and a little birdie. Last week I finally got around to finishing a pair of leg warmers I’d promised to the mother of one of my bestest friends in the world. I was a bit worried that summer would have arrived before I was done but as the intended reciprient lives up in the always chilly north I think she’ll be using them for a while yet! The Hillarys Blinds Country Craft Competition: the result, the backlash and some awkward lingering questions. A sore loser is only really an embarrassment to themselves, but someone who keeps asking questions as to how and why decisions were made can be a more persistent problem for the organisers of any competition, particularly when there is an attractive prize. It’s finished! My fantastic, stripey, crochet gorgeousness! 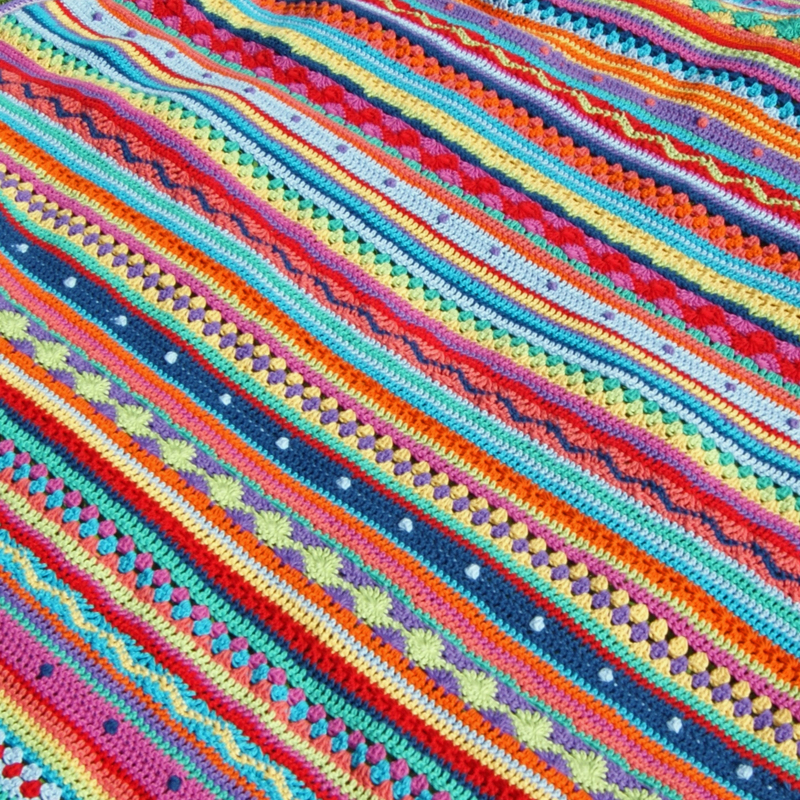 I’ve been posting updates on and off since January about the blanket I’ve been making using the beautiful As-We-Go Stripey Blanket pattern by Hannah Davis of notyouraveragecrochet.com, and finally it’s finished! 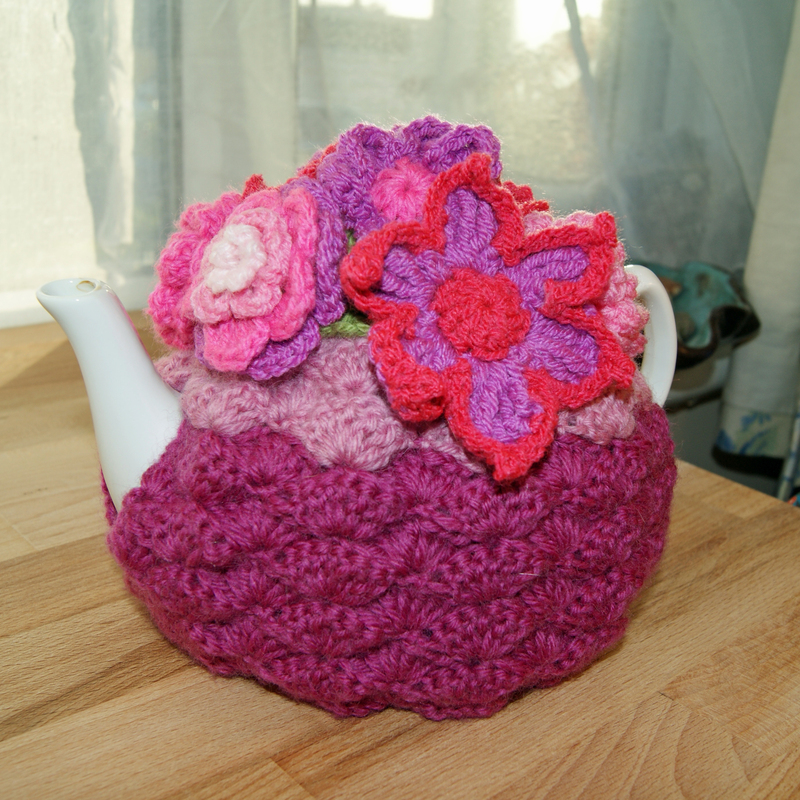 Three magic words: crocheted tea cosies. The winner of the Hillarys Blinds Country Craft Competition was announced yesterday and I had planned to blog about it today, but I need to give it some more thought. 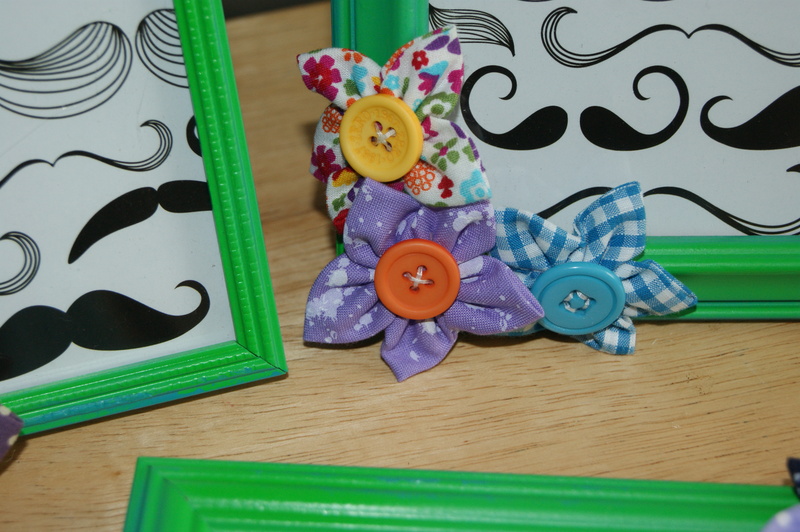 I urge anyone who is interested to check out the Pintrest board with all the entries and to make up your own minds. Personally I think the two entries who received honourable mentions were much better than the overall winner, but more of that another day. 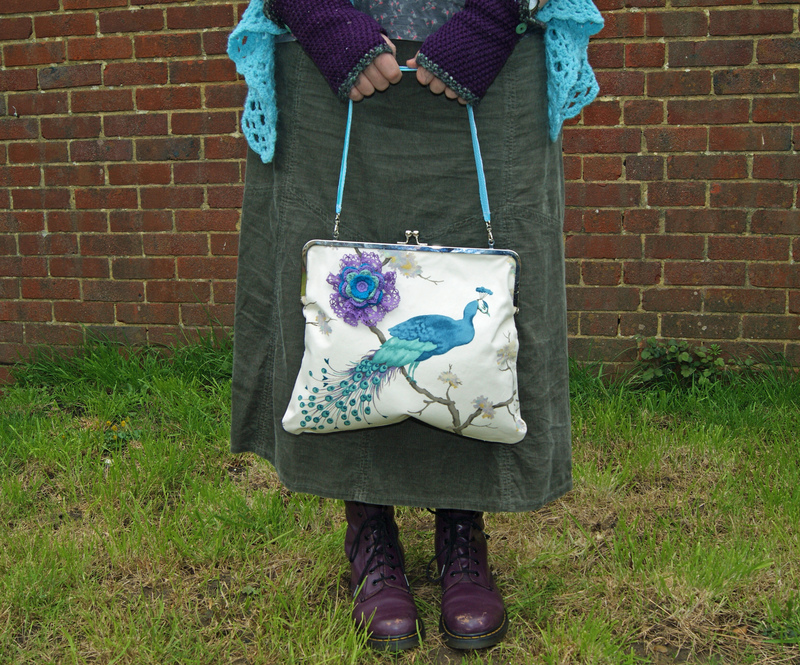 I promised you tea cosies! 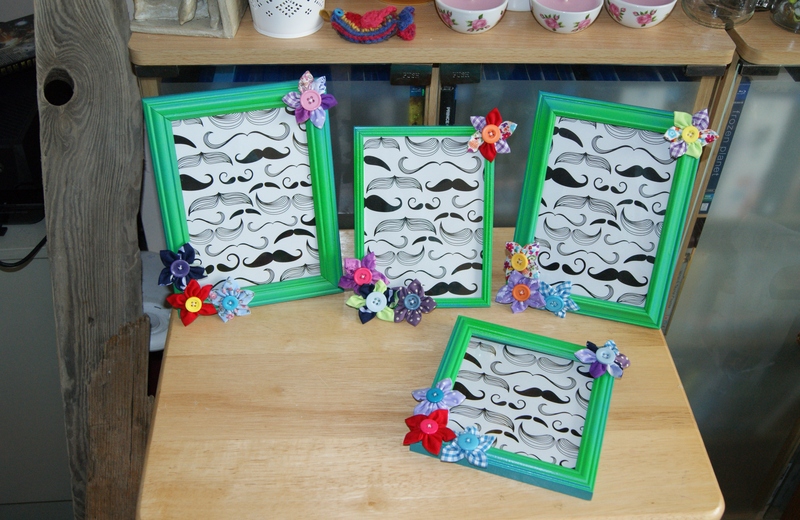 Frames, magnets, crocheted Easteriness and fifty, yes FIFTY flowers. Plus cat. Last week was a bit of a blur. First the deadline for the Hillarys Blinds Country Craft Competition (which I only just met! ), then a flurry of activity to get ready for the Easter Briar Patch Craft Fair, then the fair itself on Saturday, and through it all I was still struggling to fight off a nasty gum infection. But despite how grotty I’ve been feeling physically, it’s still been a good week, and I did get round to finishing a lot of half-finished and (barely started!) projects. Firstly there were the plate full of fabric flowers that I made with my kanzashi flower maker, remember those?